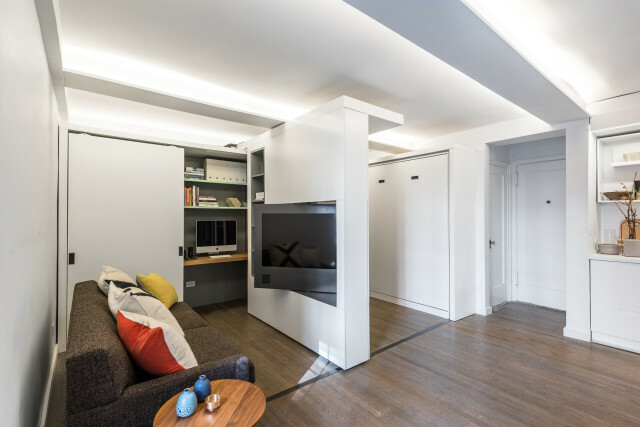 Interior of a small apartment 5 in 1 Interiora small apartment is able to transform and reincarnate, creating comfortable conditions for living in the megalopolis. 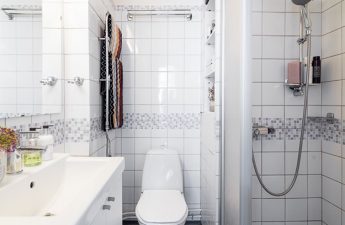 Before us is the embodiment of the “five in one” concept: functional elements for living, sleeping, working and relaxing, a wardrobe for clothes and storage, a bathing area, as well as a kitchen and a dining room, all in an area of ​​36 square squares, are embedded in the compact space. 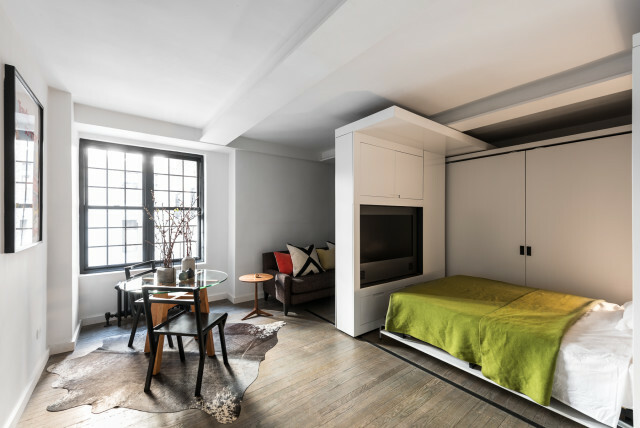 meters The apartment, located in the cooperative in Gramercy, built in the 1920s, in Manhattan, was completely reconstructed by MKCA specialists. 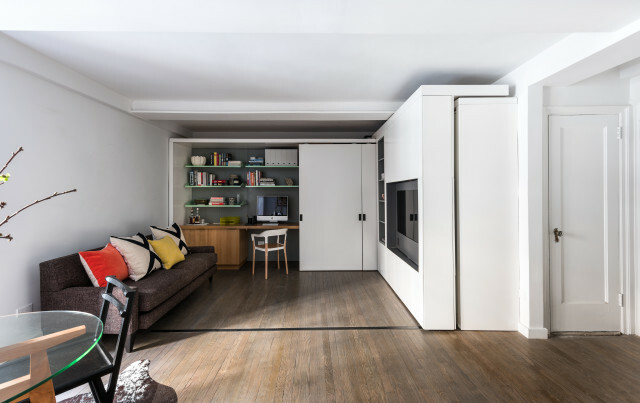 A sliding wall slides from one end of the room to the other, revealing and replacing night and day zones. Offsetting, it provides access to the wardrobe. To expand the bed, you need to move the wall in the center of the room. 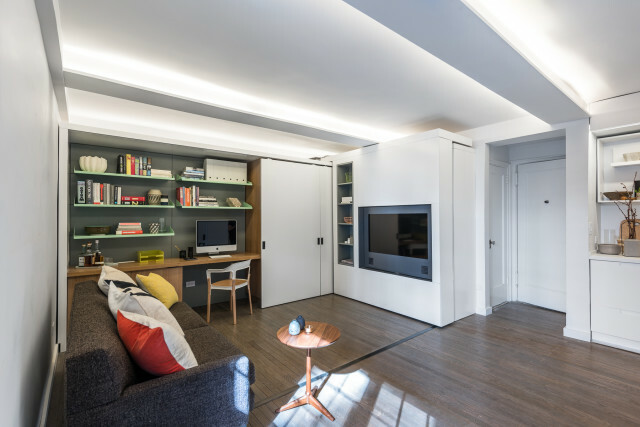 The wall is equipped with a power access point and an antenna cable for the TV, so that all the AV components are assembled in one place, plus there is additional storage space. The TV, along with the speakers, rotates 180 degrees, which allows you to watch it from the living room or lying on the bed. At the opposite end of the room there is a home office, a kitchen and a library. 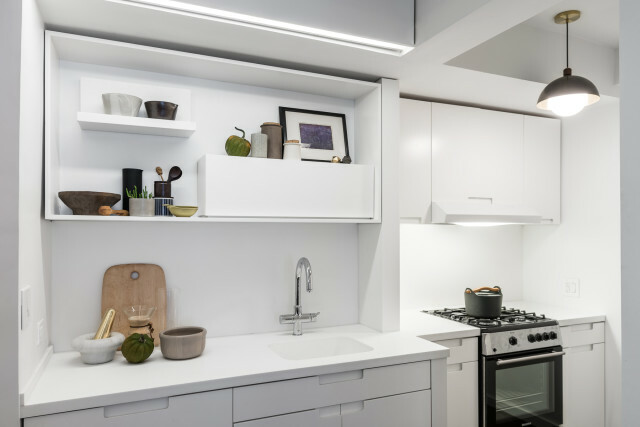 The design of this apartment was designed taking into account the choreography of body movement in space and the requirements for ergonomic living spaces. 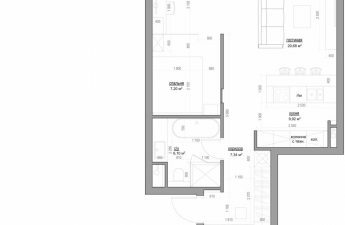 Zones that would never fit in such a compact interior, thanks to the presence of a sliding door, became available to the inhabitants of the apartment at any time of the day or night.